According to the World Health Organisation, a large majority of the African population are making use of traditional medicines for health, socio-cultural, and economic purposes. In Africa, up to 80% of the population uses traditional medicines for primary healthcare. The Indigenous Knowledge Systems (IKS) was identified as a lead programme under the directorship of Dr Motlalepula Matsabisa. Research undertaken by the IKS Lead Programme focuses on some key priority diseases of the country and region – including malaria, HIV, cancer, and diabetes. Malaria is a priority disease and is prevalent in rural and poor areas, resulting in many traditional health practitioners claiming to treat and cure the disease. There may well be substance to these claims, since as much as 30% of the most effective current prescription medicines are derived from plants. For instance, chloroquine, artemisinin for malaria, Metformin for diabetes, Vincristine and Vinblastine for cancer, are plant-derived drugs. 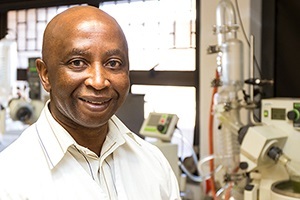 Dr Matsabisa’s current research is investigating a South African medicinal plant that has been shown to have in vitro antiplasmodial activity, with subsequent isolation and characterisation of novel non-symmetrical sesquiterpene lactone compounds offering antimalarial activity. These novel compounds are now patented in South Africa and worldwide. This research is part of the UFS and South Africa’s strive to contribute to the regional and continental malaria problem. The UFS are thus far the only university that has been granted a permit by the Medicines Control Council to undertake research on cannabis and its potential health benefits. Recognition well deservedThrough Dr Matsabisa’s research input and contributions to the development of the pharmacology of traditional medicines, he recently became the first recipient of the International Prof Tuhinadrin Sen Award from the International Society of Ethnopharmacology (ISE) and the Society of Ethnopharmacology in India. ISE recognises outstanding contributions by researchers, scientists, and technologists in the area of medicinal plant research and ethnopharmacology internationally. 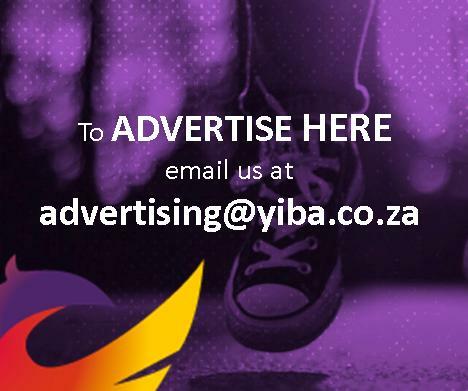 More recently, Dr Matsabisa undertook research projects funded by the National Research Foundation, as well as the Department of Science and Technology, on cancer, gangrene, and diabetes. He is also involved in a community project to develop indigenous teas with the community. He says, “All of these projects are aimed at adding value through the scientific research of medicinal plants, which can be used for treating illnesses, diseases, and ailments”. Dr Matsabisa has worked with many local and international scientists on a number of research endeavours. He is grateful to his colleagues from the Department of Pharmacology in the Faculty of Health Sciences, who are dedicated to science research and the research of traditional medicines. The IKS unit also received immense support from the Directorate of Research Development.